If you have any photos to add to the Photo Gallery or suggestions, please feel free to contact us at any time. We welcome you to visit our Photo Gallery & check out the useful Links tab! Milestones in TWA History July 13, 1925 Western Air Express (WAE) is incorporated. July 7, 1929 Transcontinental Air Transport (TAT) inaugurates coast-to-coast air and rail service on route laid out by Col. Charles Lindbergh from New York to Los Angeles (Glendale) via Columbus, Ohio; Indianapolis, Indiana; St. Louis and Kansas City, Missouri; Wichita, Kansas; Waynoka, Oklahoma; Clovis and Albuquerque, New Mexico; and Winslow and Kingman, Arizona. October 1, 1930 The "TWA" brand is born when TAT and WAE merge to form Transcontinental and Western Air, Inc.
October 25, 1930 TWA inaugurates coast-to-coast all-air service. The cross-country journey takes 36 hours, including an overnight stop in Kansas City. Summer, 1931 TWA relocates its headquarters from New York to Kansas City. August 6, 1931 TWA inaugurates the first air cargo service in the U.S. with a shipment of livestock from St. Louis to Newark. September 20, 1932 TWA and Douglas Aircraft sign a contract for development of a revolutionary new all-metal twin-engine airliner, dubbed the Douglas Commercial Model 1 (DC-1). December, 1933 The only Douglas DC-1 ever built is delivered to TWA. May 18, 1934 The Douglas DC-2, the production version of the DC-1 and forerunner of the DC-3, enters commercial service on TWA's Columbus-Pittsburgh-Newark route. December 27, 1934 Jack Frye is named President of TWA. In the dozen years of his presidency, TWA will grow from Tri-Motors to Constellations and emerge as a major world airline. December 6, 1935 First TWA "air hostesses" begin flying aboard the DC-2. June 1, 1937 Sleeper berths are introduced in TWA service. 1939-1940 Howard Hughes acquires control of TWA. Although never holding an official position with the airline, he will own and control TWA for the next 25 years. 1940 TWA offers the first-ever in-flight audio entertainment, providing individual receivers to passengers to listen to commercial radio programs. July 8, 1940 Boeing 307 Stratoliner service is inaugurated by TWA providing coast-to- coast travel in 13 hours, 40 minutes. The Stratoliner is the first pressurized, all- weather commercial airliner. April 17, 1944 Howard Hughes and TWA President Jack Frye pilot a new Lockheed 049 Constellation from Burbank, California, to Washington, DC, in 6 hours 57 minutes, setting a new cross-country speed record. February 5, 1946 TWA begins transatlantic service with the Lockheed Constellation flying the New York-Gander-Shannon-Paris route. March 31, 1946 Inauguration of TWA's international service to Rome, Athens and Cairo. May 1, 1946 Inauguration of TWA's international service to Lisbon and Madrid. January 30, 1947 Inauguration of transatlantic all-cargo service. This was the first regularly scheduled direct all-cargo service ever operated over the North Atlantic. October 1, 1948 Inauguration of all-sleeper luxury service from New York to Paris, known as the "Paris Sky Chief," and from Paris to New York, known as the "New York Sky Chief." 1950 TWA's corporate name is officially changed to Trans World Airlines. July, 1951 The Missouri River floods at Kansas City, extensively damaging the TWA overhaul base at Kansas City, Kansas, Fairfax Municipal Airport. In the aftermath of the flood TWA and Kansas City begin development of a new, flood-proof TWA overhaul base and a new international airport north of the city. May 31, 1952 The first TWA Ambassadors Club opens, at Greater Pittsburgh Airport. October 19, 1953 TWA begins the first non-stop eastbound scheduled transcontinental service with Super Constellations. The flight from Los Angeles to New York took 8 hours. Because of prevailing head winds, westbound transcontinental service continued to stop in Chicago to refuel. 1954-1958 Most TWA executive offices are relocated to New York. Training, maintenance and engineering and administrative functions remain in Kansas City. January 3, 1957 TWA is the first airline to offer passengers freshly-brewed coffee in flight. 1957 TWA occupies its new $25 million maintenance and overhaul base at Mid- Continent International Airport, Kansas City. Fifteen years later, in 1972, commercial air service for the Kansas City region is relocated from TWA's long-time home at Municipal Airport to Mid-Continent, which is renamed Kansas City International Airport. September 29, 1957 TWA launches polar route service from Los Angeles to London with the 1649A Constellation. January, 1958 The first edition of Ambassador Magazine is published. March 20, 1959 TWA initiates jet service from San Francisco to New York, using the Boeing 707-131. June 30, 1961 TWA files $115 million damage suit against Howard Hughes and the Hughes Tool Company, alleging violations of the Sherman Act and Clayton anti-monopoly acts. July 19, 1961 TWA introduces in-flight motion pictures. The first feature: "By Love Possessed", starring Lana Turner. May, 1962 The Trans World Flight Center at Idlewild (later John F. Kennedy) International Airport, New York, is opened. October 1, 1962 TWA inaugurates the fully automated, Doppler radar system of navigation on scheduled transatlantic flights. The New York to London flight was the first transatlantic flight (commercial or military) ever operated without a professional navigator aboard. June 1, 1964 TWA inaugurates Boeing 727 service. May 3, 1965 Howard Hughes liquidates his TWA share holdings, selling 6,584,937 shares and netting $546.5 million. October 4-5, 1965 Pope Paul VI returns to Rome on a TWA special charter flight after his historic visit to New York. April 6, 1967 The last TWA Constellations is retired from passenger service. TWA becomes the first U.S. airline to go all-jet. December 3, 1969 The Breech Training Academy opens in the Kansas City suburb of Overland Park, Kansas. February 25, 1970 TWA inaugurates Boeing 747 scheduled service nonstop from Los Angeles to New York. TWA is the first airline to offer 747 service in the U.S.
July 1, 1970 TWA becomes the first airline to offer no- smoking sections aboard every aircraft in its fleet. November 1, 1970 TWA introduces new Business Class Ambassador Service providing a "whole new way to fly," and featuring "twin seat" accommodations on transcontinental routes. June 25, 1972 TWA inaugurates Lockheed 1011 service. The first flight, operating from St. Louis to Los Angeles, is flown on autopilot from takeoff to landing. January 1, 1979 Trans World Corporation is formed. Subsidiary companies will include Trans World Airlines, Canteen Corporation, Hilton International, Spartan Food Service and Century 21 Real Estate. December 3, 1982 TWA operates its first Boeing 767 flight, from Los Angeles to Washington's Dulles airport. November, 1983 TWA is spun off from Trans World Corporation as a new public company. 1985 TWA launches its first transatlantic service with the Boeing 767 wide-body, the industry's first ETOPS (extended- range twin-engine operations) service. September 26, 1985 Carl Icahn acquires control of TWA. October 26, 1986 TWA acquires Ozark Airlines and merges Ozark into TWA's operations. September 10-21, 1987 Pope John Paul II travels on a specially configured TWA 727 and 747, accompanied by two chartered L-1011's. September 7, 1988 At a special meeting, TWA stockholders approve Carl Icahn's proposal to take the company private. The privatization takes $610.3 million out of TWA -- of which $469 million goes to Icahn -- and adds $539.7 million to TWA's debt. 1989 Carl Icahn moves TWA headquarters from 605 Third Avenue to his own building in Mt. Kisco, New York. July 1, 1991 Carl Icahn sells TWA's route authorities from New York, Los Angeles, Boston and Chicago to London to American Airlines for $445 million. January 31, 1992 TWA files a petition for reorganization under Chapter 11 of the Federal Bankruptcy Code. May 1, 1992 Carl Icahn sells TWA's route authorities from Philadelphia and Baltimore to London to USAir for $50 million. 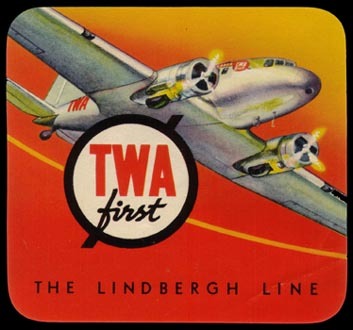 TWA retains St. Louis-London route. May 1, 1992 TWA opens the Constellation Club in its John F. Kennedy International Airport terminal as a luxury lounge for full fare Ambassador and First Class Transatlantic passengers. August 24, 1992 TWA and the TWA Creditors' Committee announce the signing of agreements in principle with TWA's three major unions for concessions in exchange for a 45% equity stake in the airline. January 8, 1993 Carl Icahn resigns as chairman of TWA, relinquishing all control and interest. The direction of TWA is placed in the hands of a two-man Management Committee (Co-Chief Executives) appointed by TWA employees, unions and creditors. January 14, 1993 TWA inaugurates "Comfort Class" service, "the most comfortable way to fly," with extra leg room in the main cabin. November 3, 1993 TWA completes Chapter 11 reorganization. The employees of TWA own 45 % of the airline upon emergence; creditors own the remaining 55 %. William R. Howard assumes the title of chairman of the board and CEO. November 23, 1993 TWA receives the 1994 J.D. Power & Associates award as the #1 U.S. airline for customer satisfaction on long flights. February, 1994 TWA relocates its corporate headquarters from Mt. Kisco, New York, to St. Louis. April, 1994 Jeffrey H. Erickson is named president and chief operating officer (later named chief executive officer). March 15, 1995 TWA introduces Trans World One, its enhanced international business class. June-August, 1995 TWA successfully completes a second financial reorganization. August 31,1995 TWA becomes the name sponsor of St. Louis' new NFL stadium, the Trans World Dome. October, 1995 Pope John Paul II travels to Newark, Baltimore and Rome on a specially configured TWA 767-300 aircraft on the final leg of a week-long visit to the U.S.
October, 1995 TWA introduces a distinctive new aircraft livery. February 12, 1996 TWA announces plans to acquire 20 new 757-200 aircraft, the airline's first major new aircraft acquisition program since before the Icahn era. June 24, 1996 TWA opens a new state-of-the art reservations center in Norfolk, Virginia. The facility utilizes object-based PC reservations format for computer systems. July 16, 1996 TWA announces an order for 15 new MD- 83 series aircraft from McDonnell Douglas. May 14, 1997 TWA announces second daily round-trip flight between St. Louis and London. November, 1997 Royal Jordanian Airline and TWA begin code-share service between the U.S., the Netherlands and Jordan. TWA is the first U.S. airline to offer direct service to Amman. December 31, 1997 TWA finishes the year ranked #2 for domestic on-time arrivals as reported to the U.S. Department of Transportation for the year, up from #10 in 1996. January, 1998 TWA introduces Trans World First, its new domestic first class service, featuring a 60% expansion of the number of first class seats in the narrow-body fleet. February, 1998 TWA introduces TWQ, its new high- frequency business market service. February 20, 1998 TWA retires the last of its Boeing 747 "jumbo jets" The newer and more efficient Boeing 767 wide-body is now the airline's main intercontinental aircraft. April 22, 1998 TWA announces an order for 24 MD-83 twinjets, all to be delivered during 1999. May 1, 1998 TWA launches AviatorsSM, its new frequent traveler program. May 12, 1998 TWA receives the 1998 J.D. Power & Associates/ Frequent FlyerMagazine award as the #1 U.S. airline for customer satisfaction on flights of more than 500 miles. October 21, 1998 TWA announces the acquisition of four Boeing 757s and one Boeing 767-300ER, giving TWA a fleet of 27 757-200s and 5 767-300ERs by January 2000. December 9, 1998 TWA announces the largest aircraft order in company history for 125 B717s, A328s and A320 family aircraft plus options on 125 additional aircraft. January 27, 1999 TWA once again has the honor of carrying Pope John Paul II home from St. Louis to Rome. May 11, 1999 TWA receives the 1999 J.D.Power & Associates/Frequent Flyer Magazine award as the #1 U.S. airline for customer satisfaction on flights of less than 500 miles. May 25, 1999 Captain William F. Compton becomes Chief Executive Officer. Gerald Gitner remains Chairman. July 28, 1999 TWA and Trans States Airlines renew their marketing and code-sharing alliance which provides Trans World Express regional service at TWA's St. Louis hub.October 11, 1999 TWA records its 50th day of 100 percent completion of schedule for 1999, far above previous annual records set in 1997 and 1998. November 1, 1999 TWA makes San Juan, Puerto Rico the airline's first "focus city." Operations from San Juan are increased to fifteen flights per day to eight destinations, plus Trans World Connection turboprop service (operated by Gulfstream International Airlines) to six Caribbean points beyond San Juan. November 3, 1999 TWA announces plans to launch regional jet service by the summer of 2000 with a new marketing agreement with Indianapolis-based Chautauqua Airlines, which will provide Trans World Express RJ service. November 18, 1999 TWA announces a major service expansion, adding 46 roundtrip flights per week including new or increased service on routes to the Caribbean, Mexico, Hawaii and the Middle East. December 1, 1999 TWA and Kuwait Airways begin code-share service on Kuwait flights between Chicago, JFK and Kuwait City; and on TWA flights beyond JFK and Chicago. December 21, 1999 TWA and Boeing close out a 67-year era of partnership as the airline takes delivery of the last twin-engine transport to bear the Douglas name, an MD-83 christened "Spirit of Long Beach." TWA placed the initial order for a Douglas twin – the DC-1, built to order for TWA – in 1932. February, 2000 TWA takes delivery of the first of a new breed of twin-engine airliner, the Boeing 717-200. TWA has orders for 50 717-200s with options for 50 more. On January 10, 2001 – Trans World Airlines, Inc. announced that it had reached an agreement with American Airlines, Inc. (“American”), a subsidiary of AMR Corporation, in which American will acquire substantially all of TWA's assets. The asset purchase agreement includes TWA's jet aircraft as well as numerous routes and gates throughout the TWA system and significant maintenance facilities. The agreement will protect air service in St. Louis and maintain St. Louis's role as a major transportation center. The agreement also calls for American to offer employment to almost all of TWA's 20,000 employees. TWA currently operates approximately 190 aircraft and approximately 800 daily flights. Concurrently, TWA said today that it and certain subsidiaries had voluntarily filed petitions in the U.S. District Court in Wilmington, Delaware for relief under Chapter 11 of the U.S. Bankruptcy Code. In order for the agreement with American to go forward, TWA also filed a motion seeking the Court's approval of an asset purchase agreement with American pursuant to section 363 of the Bankruptcy Code.